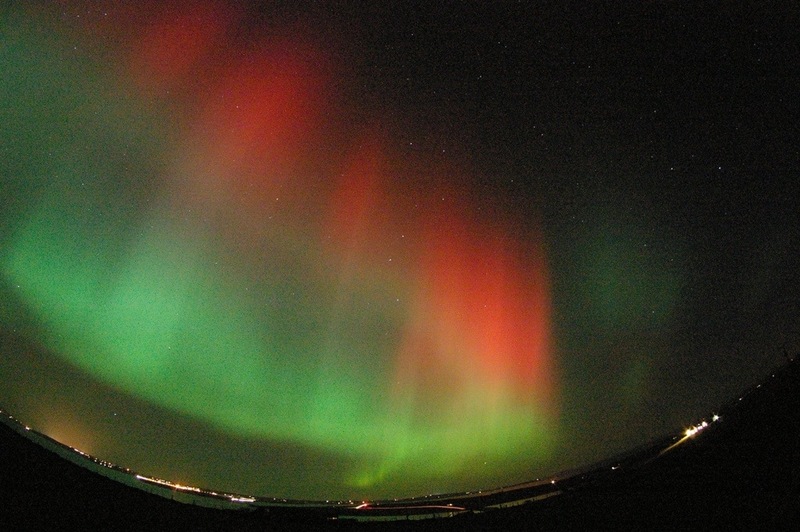 On Thursday night / Friday morning the Aurorae made a visit as far south as Wales, which is a pretty rare occurrence. When I got home on Thursday night at about 10:30 I remarked to my children that it was clear, which in itself has been pretty rare this winter. I blogged about what causes the Aurora Borealis (or Australis if you are in the Southern Hemisphere) in this blog here. Sadly I did not know that there was an aurora alert, so the didn’t see them myself. Ah well, hopefully there will be other opportunities over the next few months, as the Sun is coming back to a Solar maximum. Here are some pictures that I have garnered from Facebook in the last few hours, including one taken in North Wales. I heard that they were seen as far south in Wales as the Brecon Beacons. From the Orkney Islands, taken by Dave Wakefield, who commented that they were the best he’d ever seen. 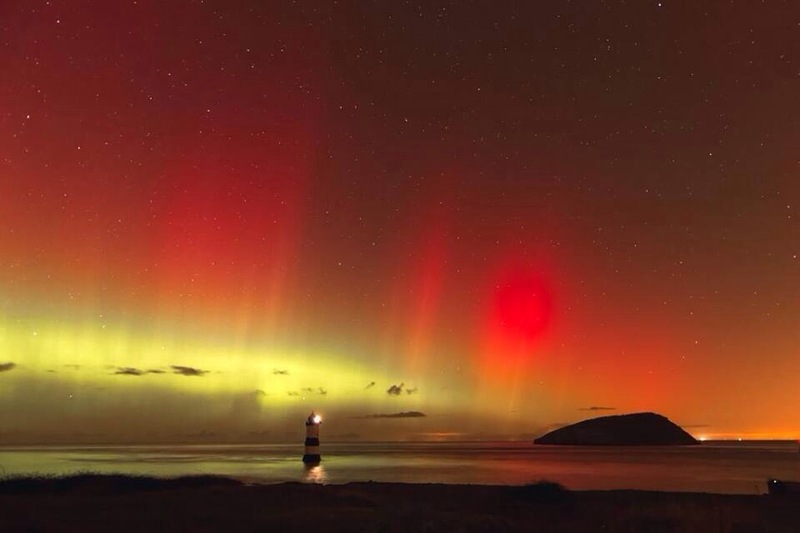 This stunning picture of the Aurorae was taken in North Wales by Adi Kinsley Hughes. This picture was taken in Northern Island and is from valianfotography. 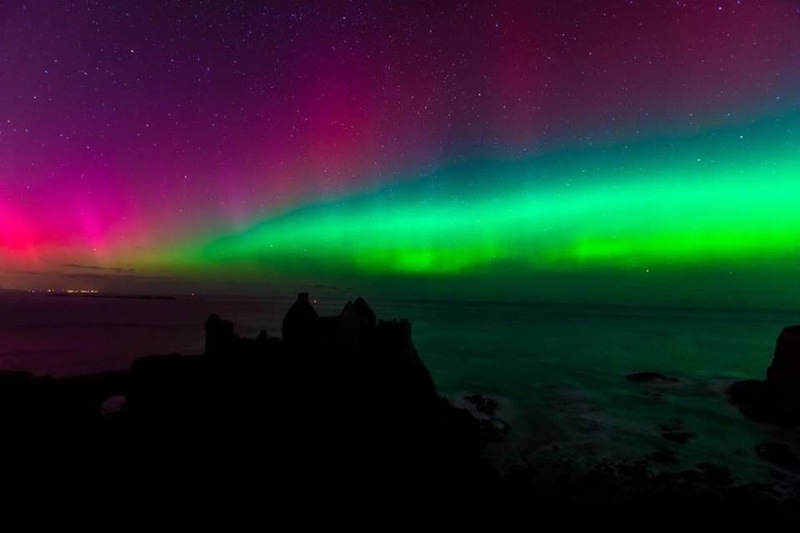 Did you manage to see the Northern Lights this Thursday night? Or, have you ever seen them? As anyone who reads my music blogs will know, I am not a huge fan of heavy rock music. Yes, I do like rock music, but not anything approaching heavy metal. I would rather stick pins in my eyes than listen to AC/DC, or Judas Priest, or Metallica, or bands of that ilk. 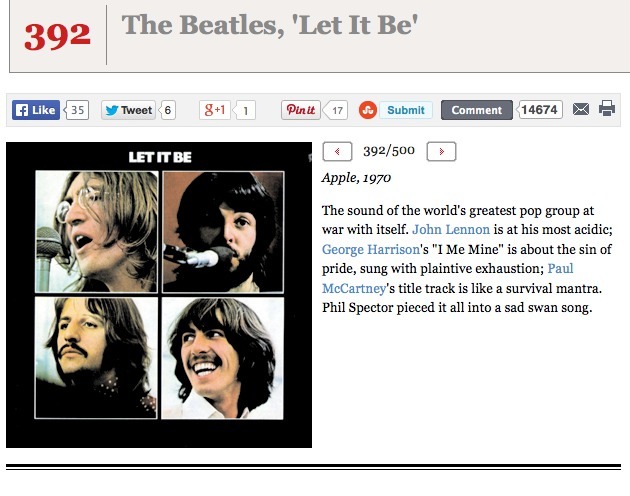 One of the reasons I am such a huge fan of The Beatles is the sheer diversity of their music. Their songs range from some of the most tender love songs (e.g. “Yesterday”, “Norwegian Wood”, “Because”) to “rock” songs like “Get Back”, “I Want You (She’s so Heavy)” and “Helter Skelter”. I cannot think of any other band with such a broad range of musical styles, and that is why they will probably never be surpassed as the greatest band of all time. That having been said, every so often I do like a song by a rock band. A good friend of mine is a big fan of Guns N’ Roses, and suggested I should get their classic album “Appetite for Destruction”, so I did. Sadly for her, I have not been converted, I did not like most of the songs on the album. In fact, the only two I did like were songs I already knew as they had been released as singles. 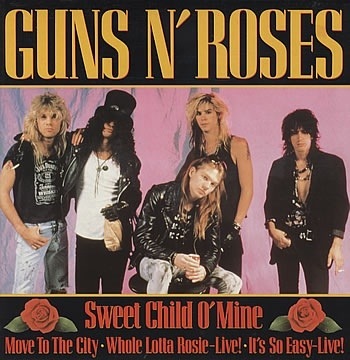 These were “Paradise City” and this song, “Sweet Child O’ Mine”. Considering how much I like this song, it surprises me that I cannot abide most of the songs on this album. But, there we go, one cannot explain musical taste or why one likes or does not like a song. One of the reasons I have never been able to get into Guns N’ Roses is because of their lead singer, Axel Rose. To me, he comes across as a complete plonker, but I have to admit his vocals on this song are great. And, of course, the guitar riff by Slash which opens the song is one of the best guitar riffs in rock. Here is the official video for the song. Enjoy! Which is your favourite Guns N’ Roses song? In June 2012 I travelled to the Gobi Desert in Mongolia to observe the 2012 Transit of Venus, the last one until December 2117. But, my reason for wanting to see this event was not just because they are incredibly rare. It was also because of their historical importance. They provided the first reliable method astronomers had for measuring the distance from the Earth to the Sun. 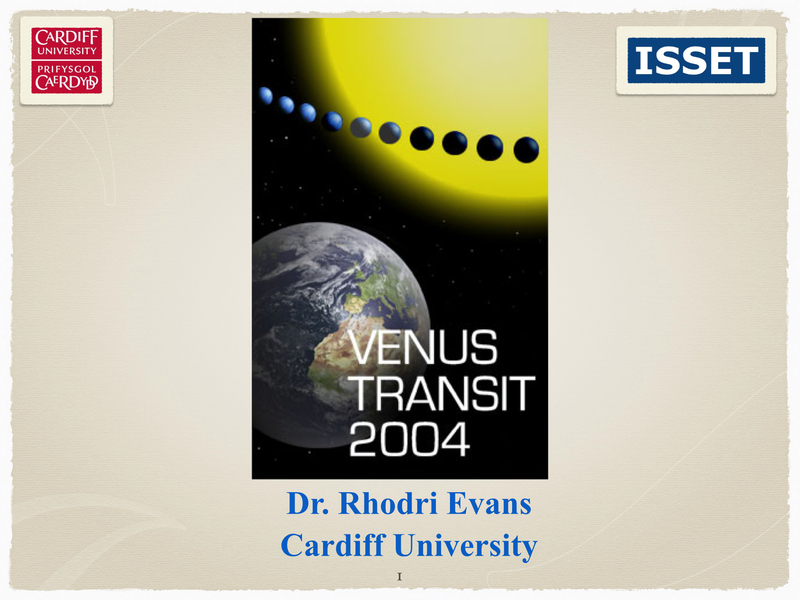 Over the next several weeks I will blog the slides from a lecture I put together back in 2004 (when we also had a Transit), explaining how a Transit of Venus can be used to measure the distance from the Earth to the Sun. I also provide some of the historical background to early observations of transits, including the heroic efforts undertaken by scientists in the mid 1700s. This is the first part of the lecture, taking us from early Geocentric models of the Solar System to Galileo’s evidence that the Sun (and not the Earth) was at the centre of the Solar System, and up to the first ever predicted Transit, which was in 1631, although as far as we know no-one observed it. This is a lecture I gave in Mongolia the night before the June 2012 Transit of Venus, but it is based on a talk I gave to schools and the public in 2004. Venus de Milo, believed to be from the 2nd Century BC. It was found by a peasant in 1820 in Melos, and was taken to France where it become known as the Venus de Milo. Boticelli’s “Birth of Venus”, painted in 1485, which is now at the Uffizi gallery in Florence. Venus Williams – a modern day Venus. Venus as an evening star, with a crescent Moon. Venus is only visible in the evening or morning sky, never more than a few hours after sunset or before sunrise. These are the sketches of Venus that Galileo made in late 1610 and early 1611. They show Venus going through all phases, from crescent to full. This could not be explained if Venus and the Sun orbited the Earth, but is naturally explained if Venus orbits the Sun inside of Earth’s orbit. The full range of phases exhibited by Venus is naturally explained by a model where Venus orbits the Sun inside of Earth’s own orbit about the Sun. A modern image of Venus, which we now know is shrouded in a thick atmosphere which is mainly carbon dioxide. This causes very high temperatures on its surface, hot enough to melt lead. A diagram showing how planets within Earth’s orbit (Venus and Mercury) have two conjunctions, an inferior one and a superior one. A transit can only happen during an inferior conjunction. Even though Venus passes the Earth every 584 days, we do not have a transit every time. This is because Venus’ and Earth’s orbits are inclined to each other by 3 degrees. The angular size of the Sun as seen from Earth is half a degree. A transit can only occur when Venus happens to pass Earth when they are on the line where the two planes intersect, the so called “line of nodes”. This happens very rarely. This shows Venus’ path relative to the Sun’s disk in June 1996, 2004, 2012 and 2020. It shows that transits (currently) come in pairs, separated by 8 years. Kepler was the first to predict a transit of Venus (and one of Mercury). This was because he was the first to accurately determine the orbits of the planets. In 1629 he predicted that there would be a transit of Mercury in November 1631 and one of Venus in December 1631. Kepler died in 1630. The picture on the right is the cover of his book Rudolphine Tables. Kepler predicted a transit of Mercury would occur on the 7th of November 1631. However, he did not know the time sufficiently accurately to predict which parts of the Earth would be able to see it. This diagram shows what we now know about its visibility, and as can be seen from this diagram the transit would be visible from Europe. Pierre Gassendi observed the 1631 Transit of Mercury from Paris. Two other astronomers are known to have also observed it, Johannes Remus at Alsace and Jesuit Father Cysat at Innsbruck. We only have sketches from Gassendi. Gassendi’s sketch of the path of Mercury across the disk of the Sun in November 1631. Kepler’s prediction of the transit of Venus on the 6th of December 1631. He wasn’t able to predict it accurately enough to know where on Earth it would be visible, but now we know it would not have been visible from Paris, where Gassendi had tried to observe it. My wife drew my attention to this fascinating story which appeared on the BBC news website a few weeks ago. 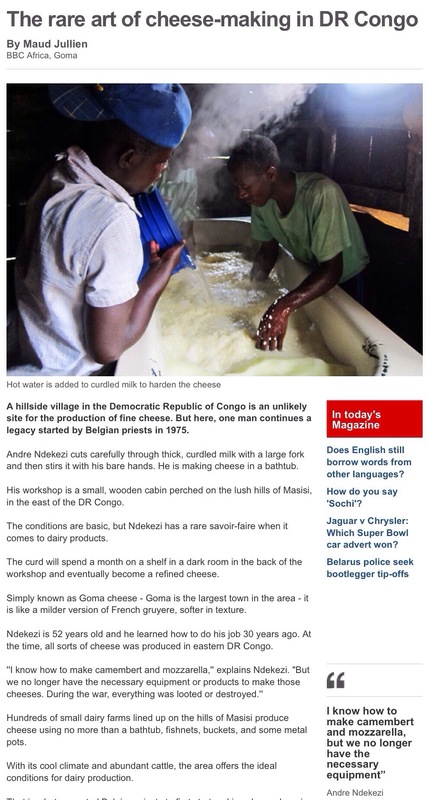 It is the unlikely story of a man in the Democratic Republic of the Congo (DRC) who makes fine cheese. It is a legacy of the country’s days under colonial Belgian rule. Andre Ndekezi’s farm is in Masisi, a village in a hilly region in the East of the DRC, near the borders with Rwanda and Uganda. Although we in Europe and North America tend to think of Africa as all dry scorched land and droughts, this part of DRC has lush green hills and plentiful rainfall, ideal for dairy cattle and for producing cheese. 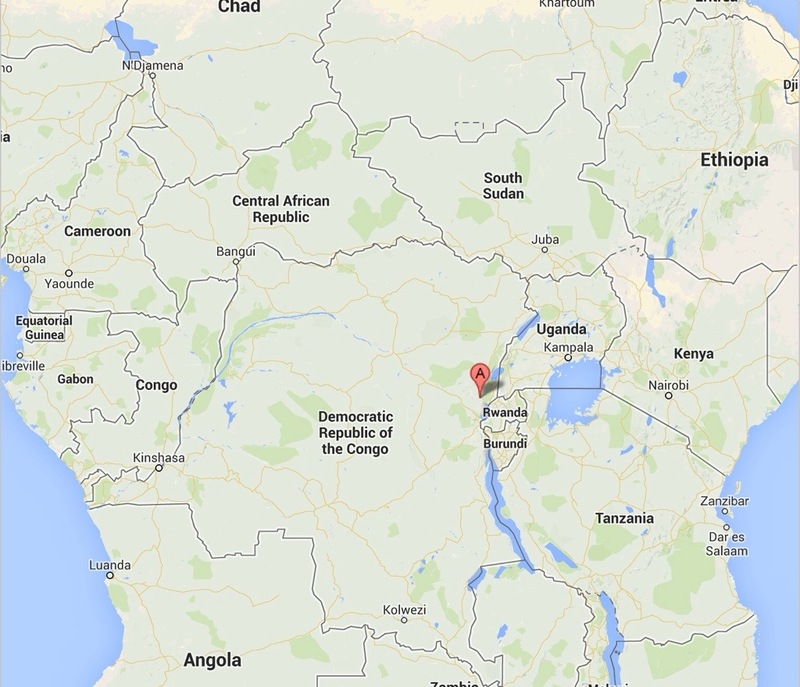 Masisi is marked by the “A” flag in this map, in the East of the DRC near its borders with Rwanda and Uganda. Ndekezi was taught to make cheese by Belgian monks in the early 1970s, and is one of the few cheese producers in Africa. I remember in the 1980s the London Government introducing milk quotas to farmers in England and Wales, which effectively limited how much milk each farm could produce. Where I grew up in West Wales, a number of the dairy farmers started using their excess milk production to make cheese, and quite a number of nice cheeses from West Wales can now be bought in markets and even supermarkets in Wales (and maybe outside of Wales?). I am a big fan of cheese of all types, although I vividly remember the first time I tried a cheese that was not the traditional “Cheddar” or “Red Leicester” or “Caerffili” so beloved by people in the Disunited Kingdom. I was 19 at the time, and was offered some French brie for the very first time. It was pretty mature, and completely different to any cheese I had tasted before – I didn’t like it at all! It took me several more tries of brie before I acquired a taste for it, and now I regularly eat brie, camembert and other soft French cheeses. I hope one day to get the opportunity to travel to this part of Africa to try for myself this unusual product of the DRC! My snack last night. 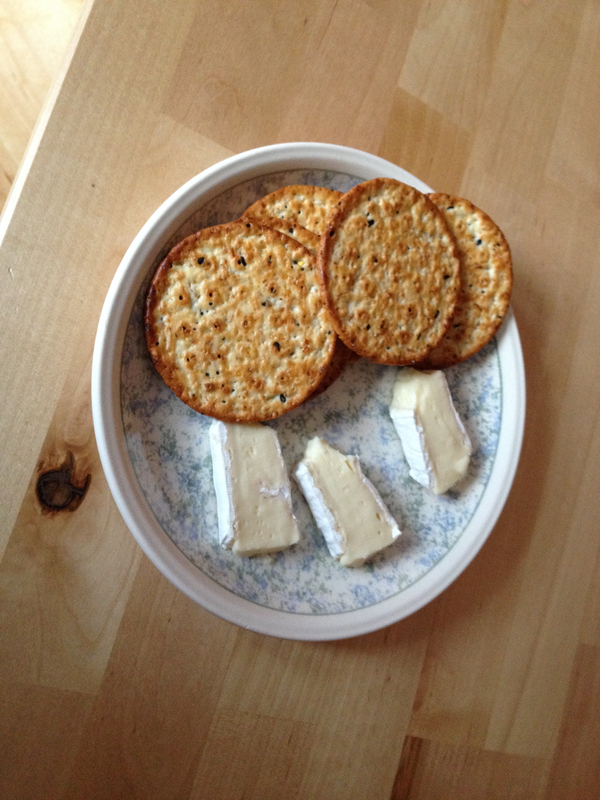 Brie and crackers. Delicious! Two countries went into the 3rd weekend of the 2014 6 Nations on course for a Grand Slam, France and Ireland. But, in a thrilling weekend of rugby, both were defeated. 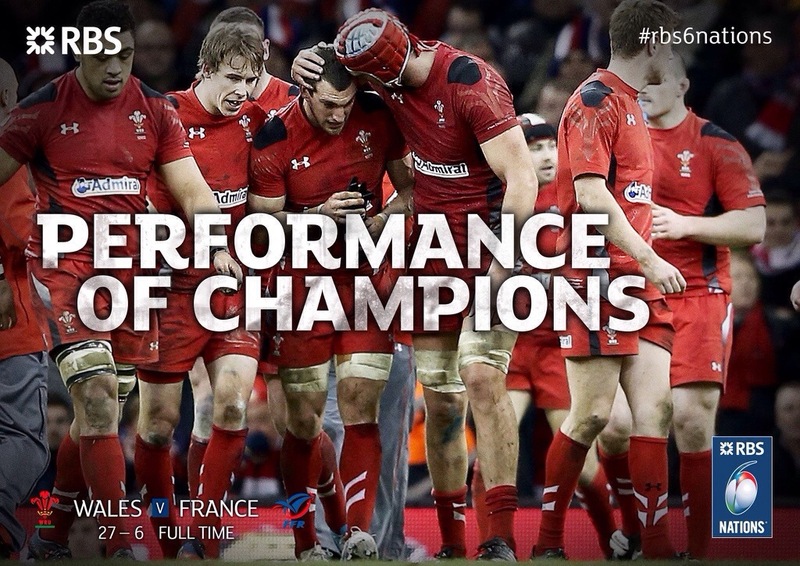 This leaves four countries with 2 wins from 3 games, – France, Ireland, Wales and England. After their humiliation in Dublin, Wales not only needed a win against France, but ideally a convincing win. They could not have answered their critics more emphatically, thrashing France 27-6. Everything that went wrong in Dublin went right against France, the front five were immense and France were unable to cope with the power and execution shown by the Welsh forwards. Wales scored two tries, including a try by George North within the first few minutes. By half time Wales were 20-6 ahead, and the game was essentially over. Remarkably, France had the lion’s share of the possession and territory in the game, but failed to take their chances. Not only will the Welsh camp be pleased with the margin of victory, but the way the Welsh defence completely shut out the dangerous French players will give defence coach Sean Edwards immense satisfaction. We can go into the match at Twickenham in two weeks’ time with our confidence restored. There has been some talk in the last two weeks that Scotland have been so dire in the 6 Nations of late that they should be replaced by another country! I am definitely not in favour of such a thing. People may forget that back in the late 1990s and early 2000s there were suggestions that France and England were so dominant in the 6 Nations that they should break away and join the southern Hemisphere teams in an annual tournament, and leave the Celtic countries and Italy to form their own competition. 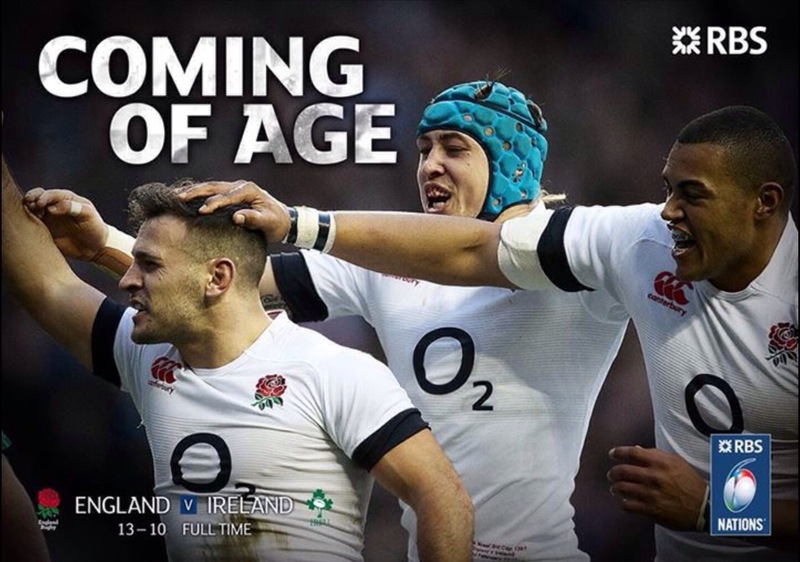 But, who has dominated the 6 Nations in the last 8 years? Wales! England have not won the 6 Nations since 2003! The strength of most countries (maybe with New Zealand as an exception) tends to come in cycles, and Scotland are just going through a bad phase at the moment. I only saw the last 15 minutes of the game between Italy and Scotland, but what a thrilling final 15 minutes it was! In the short time I was watching, I saw Scotland score a try to take the lead, lose their lead with Italy scoring a try, then with less than a minute to go and the score at 20-18 to Italy, Scotland dropped a goal to make it 20-21 and steal a win. 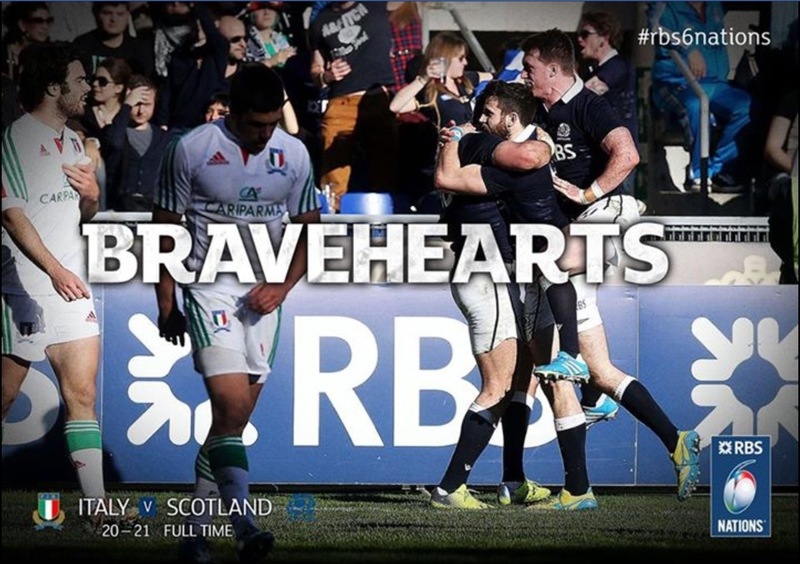 I am pleased for Scotland that they finally scored some tries, and pleased for rugby in general because a poor Scotland is not a good thing for the world of rugby. What a titanic game this was. At half time, England were ahead 3-0, with both teams knocking ten bells out of each other all over the park. Then, in the first two minutes of the 2nd half, Ireland scored a try and then a penalty to go 10-3 ahead. They looked dominant, and most people including myself probably thought that they would strangle England and go on to win. But, fair play to England, they kept their cool and came back with a try and penalty of their own, and then kept their narrow 13-10 lead despite immense pressure from Ireland in the last 10 minutes. It really was a thrilling game, low scoring maybe, but pure attritional rugby and the level of commitment from all 30 players on the pitch was immense. It was also a landmark win for England. One amazing statistic I heard was that Brian O’Driscoll had 30-something more caps than the entire England backs, all seven of them together! Whatever England lack in experience, winning this game over Ireland will go a long way to making them believe in themselves. This weekend’s results set up a mouth-watering 4th round in two weeks’ time. Ireland should have a relatively easy game at home to Italy. France take on Scotland in Edinburgh, which on paper should be a French win, but after their hapless display against Wales who knows? But, the big game of the 4th weekend is the Sunday match between England and Wales at Twickenham. Wales went a long time in the 1990s and early 2000s of not winning at Twickenham, but have beaten England 2 of the last 3 meetings there in the 6 Nations. England have looked very good this 6 Nations, and as I said after the first weekend, they really should have beaten France in Paris in their opening game. Wales, on the other hand, had a lacklustre win over Italy followed by a pummelling by Ireland and then an emphatic victory over France. Both teams should go into the game with confidence, but will England be haunted by their thrashing in Cardiff last March? I hope so! It should be a real thriller. Can Wales redeem themselves after Dublin drubbing? This evening Wales take on France in a must-win game in this year’s RBS 6 Nations. Lose at home tonight, and Wales will be facing mid-table mediocrity rather than trying to retain the 6 Nations title for a record third consecutive year. The big news from the team announcement on Wednesday is that Gatland has dropped Lions’ scrum half Mike Phillips to the bench, bringing in Rhys Webb of the Ospreys in his place. After Wales’ appalling display against Ireland in Dublin two weeks ago, where they were thrashed 26-3, we have a chance to get our 2014 6 Nations campaign back on track. But we are facing a France who have won 2 from 2, with a thrilling last-minute win over England in their opening game, and then a comfortable win over Italy in the 2nd weekend. Wales haven’t become a bad team overnight, but the way in which they were dismantled by Ireland up-front has been a big worry for Welsh rugby fans and for the Wales coaching team. Alun Wyn Jones, the Wales second row who captained the Lions in their 3rd Test rout of Australia back in July, vows that Wales will not allow themselves to be outmuscled up-front by France as they were by Ireland. 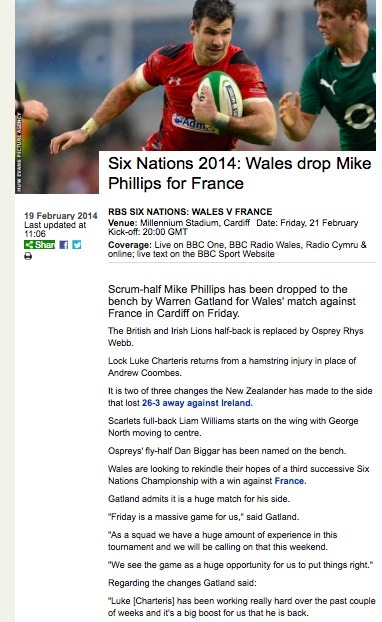 We shall have to wait and see, but all I can say is that this game is massive for Wales. Win it and our confidence will hopefully come back, which is so vital to the way Wales play rugby. But, if we lose, I fear we will have a poor 2014 and go into next year’s World Cup year not firing in the way we were just 11 months ago when we thrashed England in Cardiff. Fingers crossed!